EN CONTRARIO DE LA COMISIÓN DIRECTIVA. 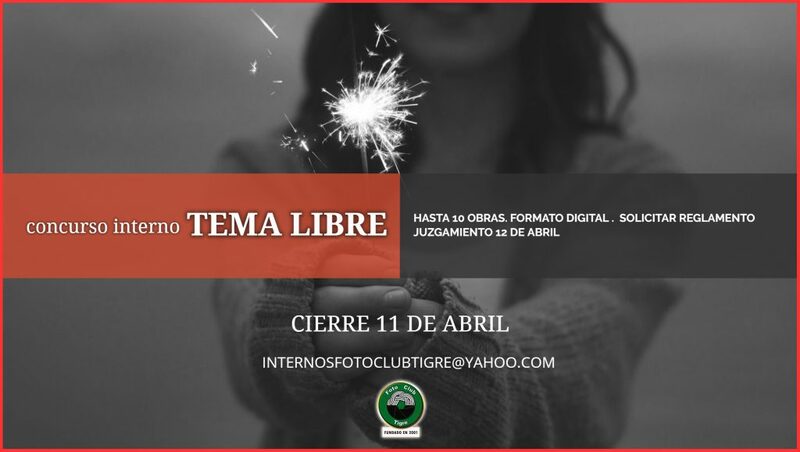 LAS OBRAS SERÁ ENVIADAS EN FORMATO DIGITAL .JPG Y ESPACIO DE COLOR SRGB AL FOTO CLUB TIGRE. EL TAMAÑO MÁXIMO DE LA IMAGEN SERÁ DE 1440 PIXELESX1080 PIXELES, CON UNA RESOLUCIÓN DE 300 DPI. NO PUDIENDO SUPERAR LOS 2MB. CORREO ELECTRÓNICO Y TELÉFONO DE CONTACTO DEL AUTOR.